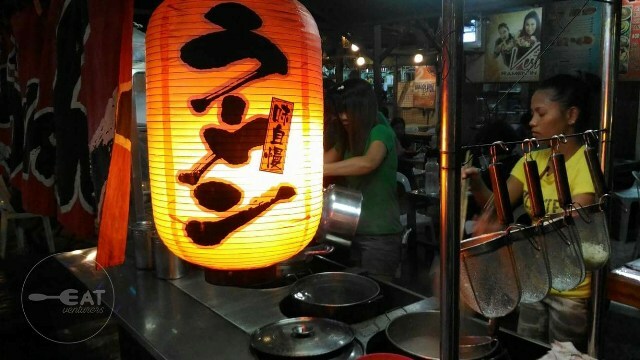 The Eatventurers: Where to buy P90 authentic ramen in Manila? Where to buy P90 authentic ramen in Manila? This rainy weekend calls for a "ramen weather" so after a month of posting the teaser on our Instagram and Facebook, here's the reveal on where the Eatventurers bought their P90 authentic Japanese-tasting ramen. Where is this ramen place? Vest Ramen in Town by Erra's Grill formerly known as Erra's ramen. Vest Ramen in Town is we would say the best ramen in Manila we've tried to date. NEWS FLASH: It's open 24 hours to cater to your midnight ramen cravings! This ramen place located along Adriatico Street, Malate, Manila used to be 'known as "Erra's ramen food cart" derived from one of the owners' name Erra Lorenzo, until they grew and decided to rebrand into "Vest" meaning "best" but with a V which stands for another owner's name Victoria "Vicky" Espiritu. We will cut short to the introduction and head on to their menu. Affordability is the edge of Vest as its ramen's price ranges from only P60 to P90. No additional service charge. Where else can we get an authentic Japanese-tasting ramen as low costing as this, right? Usually ramen in malls costs P350 to P500, excluding service charge. 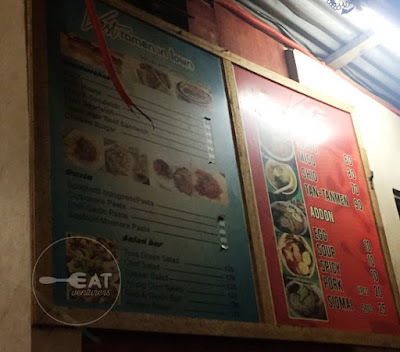 Aside from the price, Vest offers a variety of noodles craving from hot to cold, they got you. They boast four flavors Shoyu (P60) or soysauce flavor, Shio (P80) or salt similar to chicken noodle soup, Miso (P90)- miso paste from fermented soy bean and Tantanmen (P100)- chili-based and buttered sesame seed (P100). Along side their ramen, they also have bar and grill for your "dinnerinks" complete with wide range of choices from Filipino pulutan to other main course. There is no doubt that Vest ramen is authentic tasting adding that a part owner of which is a Japanese named Tajima Satoshi. We read from another blog that they use legit Japanese ingredients from Cartimar and also watched a TV feature that they even make their own noodles. Check out the menu of their ramen below. Apologies for the glaring light. We hope it's still somehow visible. Of course we tried their best seller tantanmen. During our visit last April, it was just worth P90 but they increased its price by P10 which is still not bad considering its huge serving (Can be for sharing). Vest's tantanmen is at par or even better than the commercialized ramen, rich in taste, with distinct ingredients such as seaweed (wakame), garlic, pork broth, perfect texture of noodles, chili base. It's truly delicious and a must-try. It does look oily in photo because of its rich broth. What's good about this place is that it is open 24/7. 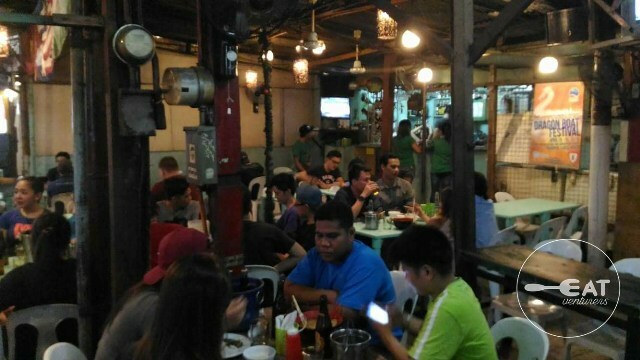 Just a heads up though, it's hard to snag a seat during Fridays or evenings because several customers visit during happy hour 6:00 p.m. onwards, also its peak hours. From our experience, we attempted to visit several times after we've learned from it, but it's too crowded we decided not to. We were only able to eat here one really late hour on a week day. Service wise, this is also the downside because of too much customers you have to wait a little (like 15 minutes or so) but surely, it's worth the wait. 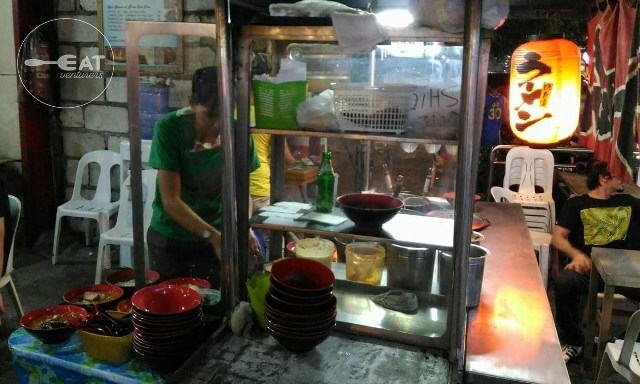 You can also view how your ramen is being made as their stall is located along the street. 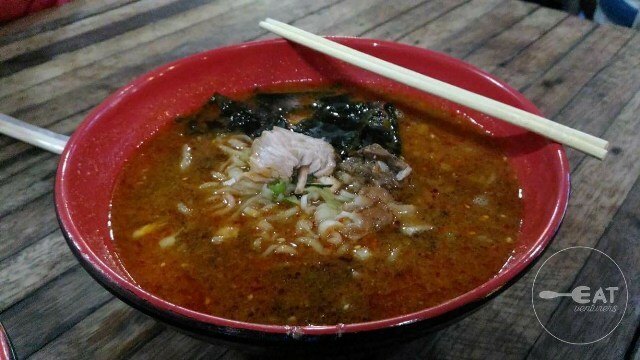 Rumor has it that Anthony Bourdain visited this ramen place during his recent trip to the Philippines with no reservations. 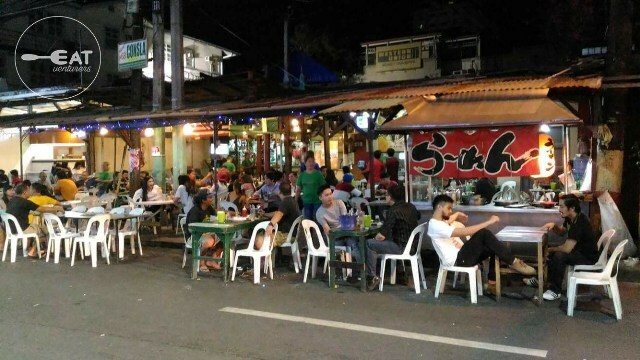 Another heads up, it's also not air-conditioned because it's open-air where customers drink, smoke and some vendors occasionally offer snacks like balut, chicharon, among others. Don't worry about rain, it's roofed. The store is also hard to find based on sign but if you see a crowded place with the ramen stall, then you're at the right place. Check out the photos below to get a view.